Moonfly (6 years ago) Inappropriate? Thanks a bundle for the fits, they are invaluable. The colors and styles are also very useful. All in all they make a great hair model even better. Some of the style morphs reset the model to the default position, but reapplying the fit sorts that. 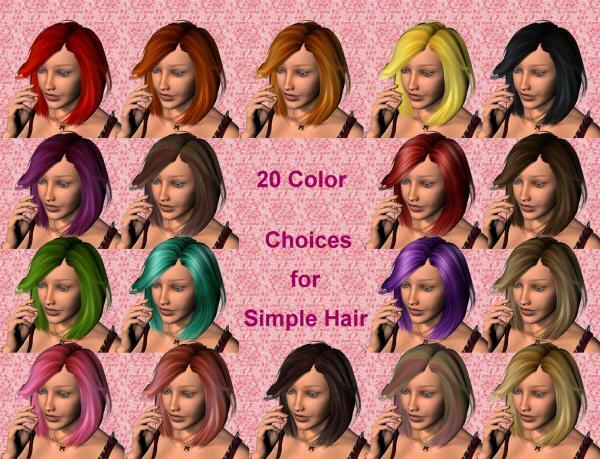 These are great colors for simple hair. Wiccan (9 years ago) Inappropriate? Thanks for this wonderful addition to a nice free hair!